Indian Restaurant Gandhi, Amsterdam, Netherlands | Cheers m8! Gandhi Restaurant is located at precise location which is just 7 minutes walking from the Central Station of Amsterdam. Our restaurant is the collaboration of best chefs, cooks, and professional staff. 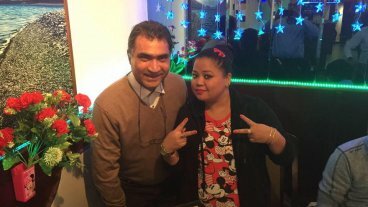 We are serving mouth-watering Indian dishes since 1990 in Centrum, Amsterdam. We commit to serve the finest quality food in a warm and comfortable ambience. Our passion for Indian food is reflected through our menu. The menu is inspired from traditional Indian dishes such as cheese, milk, chicken and fish vibrantly prepared by sophisticated palates. We also provide 10% discount for take-away orders. We are open for lunch and dinner seven days a week for quality dining from timings 12:00 PM to 12:00 AM in weekdays. However, In weekends, timings are from 12:00 PM to 3:00 AM. Whether you are North Indian or South Indian, the enrichment of traditional flavours introduced in Gandhi restaurant’s delicious food delivers a satisfying thought on your mind. However, we are serving the best to Indian food lovers. Our food strictly includes Indian dishes brewed with fresh and healthy vegetables. With outstanding dining options of lunch and dinner for vegetarians, our menu also includes a creative twist for non-vegetarian food lovers! Chicken tikka tandoori, King prawn korma, sheekh kabab and boti kabab are some of the dishes that stand out.